Students begin with an overview of the geographic conditions that led to Greece‚Äôs surprising success as a civilization. 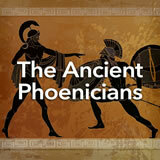 Then, they investigate the earliest major Aegean civilizations, the Minoans and the Mycenaeans. Next, they learn about the Dark Age, which ended in a burst of colonization that expanded the physical and mental bounds of Greece. Working in small groups, they put their knowledge together in an insightful discussion. In this experience, students begin with an overview of the geographic conditions that led to Greece’s surprising success as a civilization. 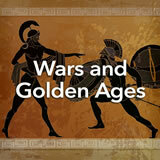 Then, they investigate the earliest major Aegean civilizations, the Minoans and the Mycenaeans. Next, they learn about the Dark Age, which ended in a burst of colonization that expanded the physical and mental bounds of Greece. Working in small groups, they put their knowledge together in an insightful discussion. This experience contains a lot of content. 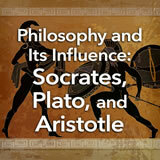 You may choose to teach it over two sessions in order to spend adequate time on the various early Greek civilizations. Students will work together in small groups in scene 5. 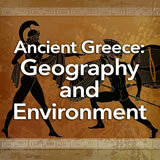 Locate and describe the physical geography of ancient Greece. 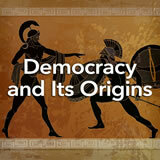 Identify the ways that geography influenced ancient Greece. 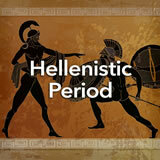 Describe the earliest Greek civilizations. It’s a small, rocky, mountainous country with dozens of out-of-the-way islands. There’s little fresh water supply; the soil is poor; farms are small and often built on hillsides. Yet this land with its geographical disadvantages was the birthplace of today’s Western civilization, with its sciences, arts, philosophy, literature—and sports. It’s Greece, and in this experience you’ll learn about its beginnings. Look at the physical map of Greece. (Greece includes not only the mainland but also most of the islands all the way down to Crete.) Notice the colors and textures that mark its physical features. Discuss students’ responses. Ask students to state some ideas about how a civilization might develop in a region such as this. Which factors encouraged ancient Greeks to look to the sea for their livelihoods? Choose all that apply. How did being in an unstable, volcanic zone affect the culture of ancient Greece? A) It led to a large number of people fleeing whenever there was an eruption. B) The Greeks often had to rebuild buildings that had been destroyed by earthquakes. 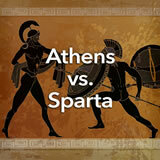 C) The Greeks developed a grim but courageous “come what may” attitude toward life. D) It made the people believe in oracles—gods who foretell the future. The Complete List of Learning Experiences in Ancient Greece Unit.